I am getting into the spirit of the season. And by season, I really mean season. The solstice is here, the longest night of the year for those of us in the northern hemisphere. Jeremy dreads this day because he really misses the daylight. I don’t mind it, really. And it seems to come upon us so quickly that I’m usually a little surprised when it arrives. Alright, honestly? I’m always surprised when the month of December arrives. For some reason, after the leaves fall, the last quarter of the year rushes in like a flood: one holiday after another, winterizing the house, putting away summer clothes and getting out the winter clothes, cooking more stuff in a crock pot than on the grill (well, I pride myself in using the grill throughout the year if I can! ), changing out my header image on use real butter, tuning up our tele gear, getting our winter skin back. The past couple of weeks have felt like true winter because of the snow and the darkness and the frigid temperatures – but it was all autumn. I look forward to the solstice because our days get longer from there until summer solstice. It’s a hopeful time to me and I love winter – especially the night sky in winter. Plus, the chilly temps make for great cuddling with Kaweah, the mobile furnace. I am especially jolly this solstice since Jeremy returned from travel on Friday. We managed to squeak in a lunch at Sushi Tora in Boulder before he had to rush off to a last minute meeting. 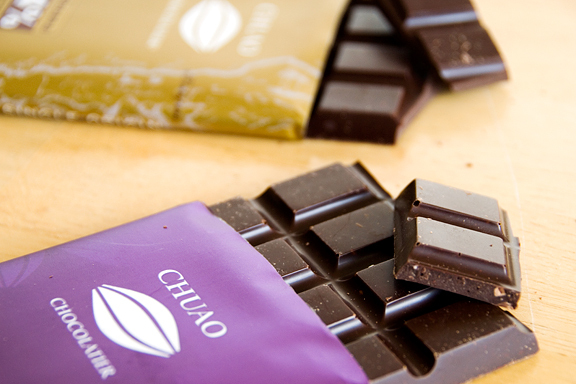 While I really like Chuao, I think as tasting chocolates go, Chocolove still has my heart – and it’s a local Boulder business. When it comes to brekkie, are you a sweet or a savory type? Most of my pals know that I am a savory sort all the way. A couple bites of pancakes and I feel like I want to crawl under the table and sleep. Drop a plate of hash browned potatoes, bacon, and eggs (sunny side up and ruuuuuuunny) and I am ready to conquer the world! For the longest time, I would skip breakfast unless I could grab a cold slice of pizza from the fridge on my way out the door. That didn’t work so well in graduate school when my brain function would plummet around 10 am. Luckily, the geology building was just across the gorge (hey, it’s Cornell – you know… Ithaca is gorges) from Collegetown Bagels, a subsidiary of Ithaca Bakery. It wasn’t just a place to grab a coffee and a bagel – geology grad students would always saunter over there to recharge, huddling at a table in the winter or lounging outside in summer. Jeremy and I were pretty careful with our expenses as graduate students. Our combined income put us just above the poverty line. Going to CTB was a treat for me. I loved so many of their bagel sandwiches, but the one that really gave me juice in the morning was their Vegetarian Bagel. That’s probably because it was loaded with fat, but it got me through to dinner on days that I forgot to bring lunch, or got me through the late nights when I forgot to bring dinner. CTB makes their Vegetarian with vegetable cream cheese, but I rather like the chive cream cheese. I also don’t put nearly as much cream cheese as they do (because when I stop to think about what cream cheese is, I start to feel a little ill). Slice up some tomato and slap a piece of meunster cheese on each half and you’re almost done. Of course, if you can get your hot little hands on some in-season tomatoes, that will really make the bagel. Bake until the cheese gets bubbly and you’re all set. Preheat oven to 375°F. Slice bagel in half. 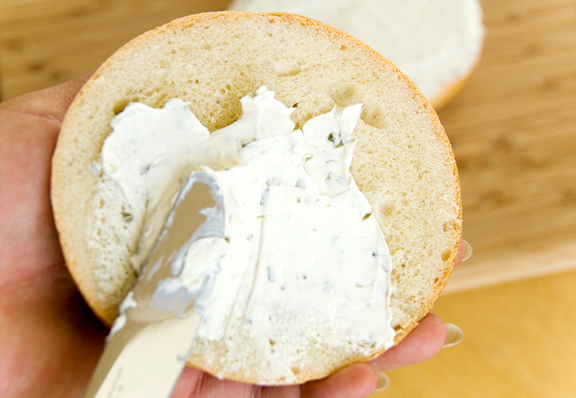 Spread cream cheese on bagel. Slice tomato and layer slices over the cream cheese. 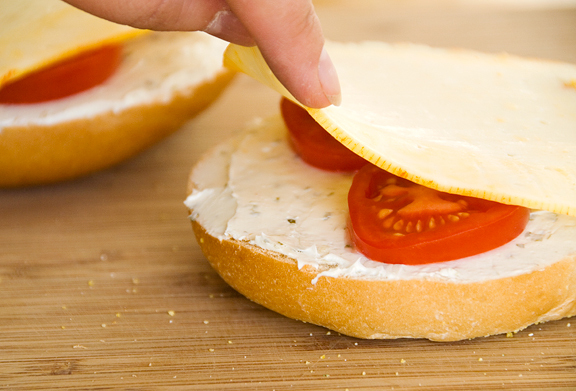 Place one slice of cheese over each bagel half. Bake in oven for 10 minutes or until cheese is bubbly. Oh, yum. May I recommend Boursin in the place of cream cheese too? Cloud nine. What glorious food! That bagel sandwich looks awesome! That looks good! One of my favorite ‘sandwiches’ is a slice of toast with mayo, sliced tomato, salt and pepper with melted cheddar cheese on top. Mmmm…that looks tasty right now. I go either way on breakfast. Some says I’m sweet, some days I’m savory. Huh, it never occurred to me to heat a bagel with cream cheese, but it looks good. A nice compromise for the lox I miss so much! The good news about the solstice is that beginning tomorrow, the days will get longer! My daughter was born 12 years ago today. After I’d been in labor for 55 hours, a nurse said to me, “Hey, it’s the longest night of the year!” Ya think??? Lovely bagel! Looks like you enjoyed…. Oooh yum…I am craving tht bagel rightnow. I’m definitely on the savoury side of life, & that makes just my perfect dream brekkie! Hee hee…I just met a friend for lunch at CTB the other day and guess what I had? The vegetarian bagel, of course! You’re right; they’re good and simple and filling. Hope you and Jeremy are enjoying the snow and the cold, dark, starry winter nights. I’m in Austin, Texas and we were wearing shorts yesterday… I’m jealous of your winter weather! I eat something similiar to this almost every other morning for breakfast, but I use this wonderful 12-grain bread from whole foods that is to die for. I must try it with meunster and the cream cheese. If you’re ever so inclined try it with a thin smear of brie, tomato and provolone. Ooh–your veggie bagel looks fabulous! I like the amaebi. So sweet and crunchy, with that perfect little bite of wasabi. A sign of a good sushi place is that they give you the fried heads. You are so much better than me about being “judicious” on the cream cheese. I know what it is, and I STILL slather it on! I have had similar bagels, but with sprouts and mayonnaise, but your version looks amazing. This is my kind of breakfast too! It looks delicious. Savory all the way! I was never a sweet breakfast person. Then again, my parents wouldn’t buy us sugar cereals either, so that probably influenced my tastes as a child. 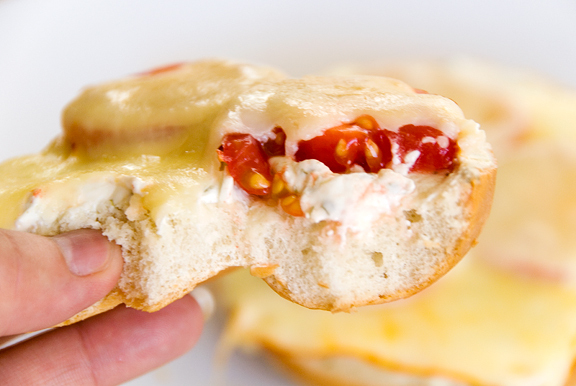 My mom used to make bagels like this, with tomato and melted cheese, often. It was the New Yorker in her. 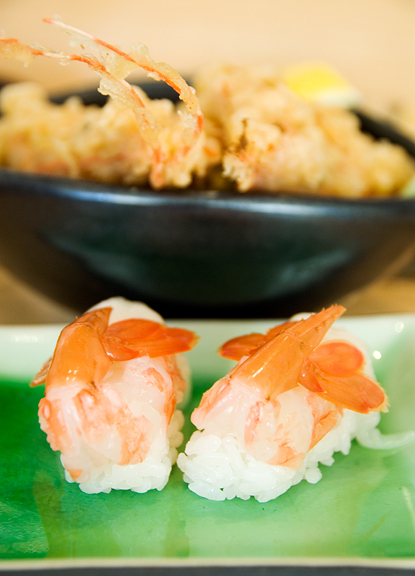 As for sushi, no, it never gets old. 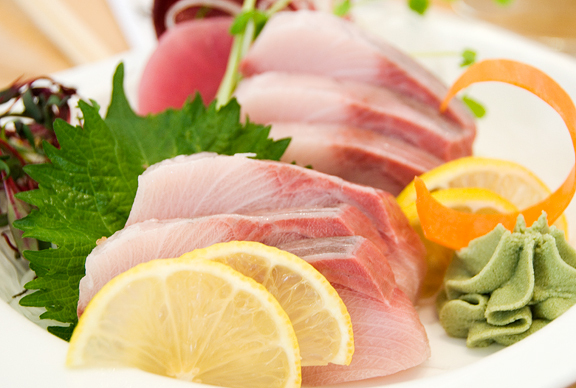 Especially hamachi and toro. Mm. wow! it’s really amazing how you can make pictures of a sandwich look soo pretty! 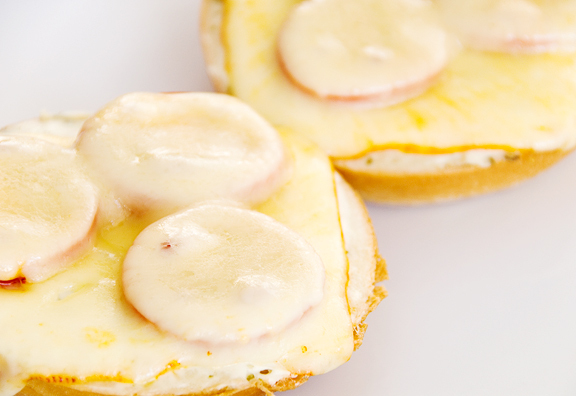 What a simple but great bagel sandwich! We are celebrating the solstice by getting dumped on with snow. Looks like a good afternoon snack. That is a comfort go to food. 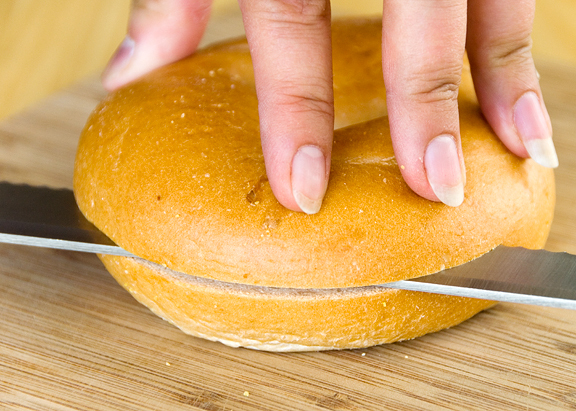 Oh my, that bagel looks so good right now! I have a major weakness for bagels. But when you put tomatoes and cheese on them, I’m a goner. Favorite though: Everything bagel toasted, cream cheese, tomato and a hefty dose of lemon pepper. Swooning. Manggy – I love Boursin, but it costs more than cream cheese and it’s like… 100% fat ;) I never can get too excited about bacon with syrup… although Jeremy loves the combo. Pearl – probably pretty good! Kevin – tomatoes are awesome on sandwiches. Gretchen – I have to be in the right mood for a sweet brekkie! Judith – I love lox!! Karen – yes, that’s what I like about the solstice. Deeba – it’s a nice and quick brekkie for sure. 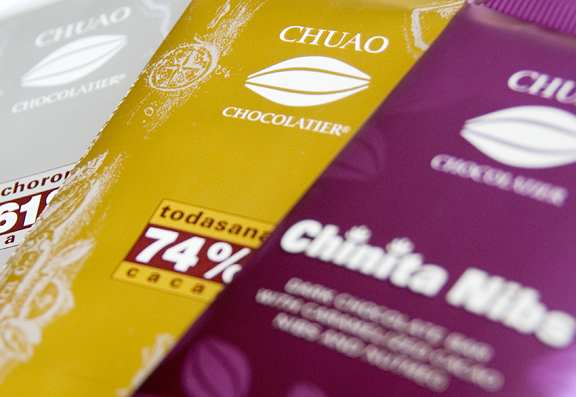 Culinarywannabe – I’m just not a huge fan of chocolate in general, although I enjoy tasting it and finding good ones. Home w/ Mandy – we’re only a few states away. Mollie – well, we’re waiting for you to come out to help! Melissa – I hear ya. Mrs. E – brilliant combo, no? Melissa – super easy and delish. Diane – ooh, lemon pepper sounds like a nice touch. I’ve recently become obsessed with food blogs as a way to kill time at work/I love food/I’m abroad and poor and can’t eat as well as I’d like. I saw the vegetarian bagel and thought, “I wonder if she makes it like I make mine–CTB style.” And sure enough, you do because you went to Cornell! Small world. The Vegetarian Bagel is my favorite… although sometimes I have them put bacon on it. Caleen – Oh yeah, bacon is definitely the way to turn that vegetarian into AWESOMENESS :) Love that bagel!